It’s that time of the year again… back to school shenanigans! Some might be excited to head back to school, but I know for the rest of us, it’s hard making that adjustment from summer mode to school mode 😒 But not to worry! Here are some tips that I found to help me get prepped and ready for the new school year. This usually did the trick for me, so I hope it helps you all too! Now, the older I got, I realized how important sleep is to function throughout the day. When it’s summer, especially when you don’t have any responsibilities early in the morning, you build up the habit of staying up late and sleeping in. But once you do that when school starts, you’ll highly regret it!! (I know from experience). So I recommend going to bed earlier than you normally do, especially a week or two before school starts. This will just make the routine easier! I don’t know about you, but I LOVE school supplies! I’m sure we’ve all been inside Target, Walmart, and etc. and have seen all the Back to School deals, but didn’t take advantage of it since school was so far away. But trust me! 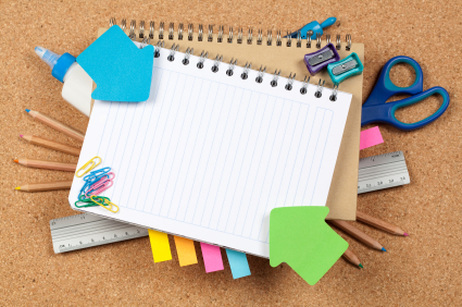 It’s better to get your school supplies early and at a great cost, because once you decide to go shopping later on, you’ll be left with just one pencil and a stepped on notebook! I know going back to school can be nerve-wracking, whether it be elementary, middle, high school or even college! One thing that calms my nerves down a little is checking my classes before the first day. When I was younger, I loved checking to see where my class(es) would be because I hate getting lost on the first day! And as I got older, that became a habit within every school year. I also loved checking the class roster to see who my teacher(s) would be and who would be in my classes! These are just a few things that help me shift from summer to school mode! I hope you find these helpful as well! What do you do to prepare for the school year?